Is Incredibles 2 ok for kids? 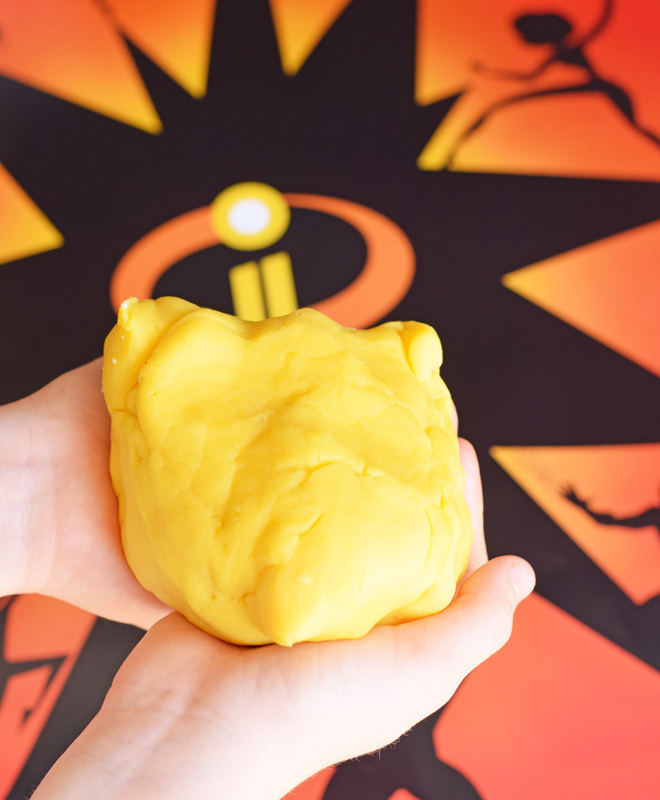 Read this no spoiler review PLUS get a DIY recipe for Incredibles 2 inspired play dough. The Incredibles has been my favorite animated movie since its release. My kids all enjoy the movie, and we have one son who we nicknamed “Dash” because he runs super fast and sticks his chest out when he runs (like Dash does in the original Incredibles). We had all been eagerly anticipating the release of the sequel. Our triplets had never been to see a movie in the theater. They have asked in the past, but I didn’t feel like they were old enough to sit through the previews and the movie. Plus, taking four kids to the movies isn’t cheap! But the release of Incredibles 2 was something that we just couldn’t pass up! We took them to the movie theater for the very first time to see Incredibles 2. Is Incredibles 2 ok for kids? Incredibles 2 has a PG rating for “brief action scenes and mild language.” Of course, it’s a super hero movie, so most parents probably expect some level of action. Some of the action scenes were a bit darker than in the first film. In one scene, a character reminisces about his father being shot and killed by robbers, and there were other intense action scenes in the film. Honestly, as a mom of boys, I didn’t find these scenes too alarming. My boys play super heroes and army men and all sorts of action-type play every day, and they did not seem scared by these scenes. My older daughter, on the other hand, stated that she did find one action particular scene between Elastigirl and Screenslaver scary. The one aspect of the film that did surprise me were the incidences of “mild language.” Our household doesn’t use swearing, even though I am sure that we are in the minority. But, for full disclosure, I do feel like parents should be aware of any language in a film so that they can decide for themselves if it is appropriate for their own family. I’m not sure why “h” “e” double hockey-sticks needs to be in a kid’s film (along with “I’ll be damned” and full phrases of “OMG.”) Luckily, these instances appear to be unnoticed by my kids, but I felt like they were unnecessary in a kid’s film. The storyline overall was ok for families. Without providing any spoilers, it does reinforce the importance of family and sticking together as a family. Pixar does a good job with the special effects. The movie picks up where the first one left off rather than highlighting the time span since the last movie, which I thought was a good move. I decided to ask my kids what their favorite part of the movie was. They all had a variety of answers, but they were unanimous in declaring that Baby Jack and Dash were their favorite characters this time around. Anytime that my boys see a new movie, they role play that movie with their toys for days! 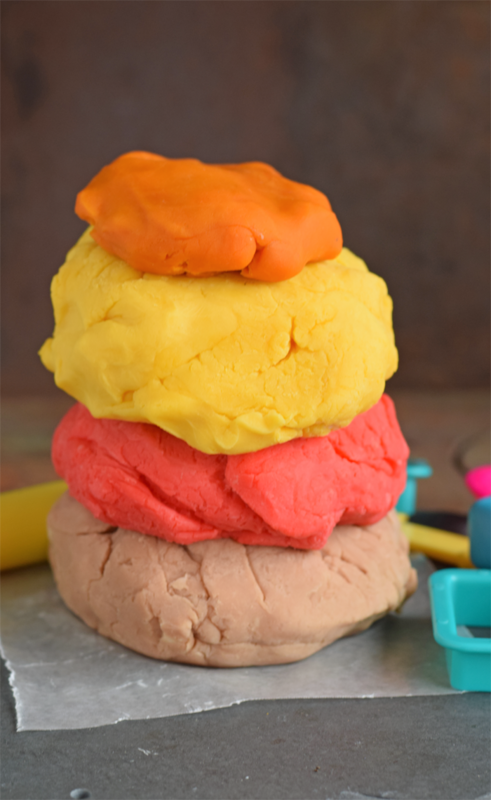 They needed a new batch of play dough, and I decided to make them play dough in Incredibles 2 inspired colors for them to use in their play. For the colors, I went with red, orange, yellow, and a flesh colored. However, you could also do black for their masks, costumes, etc. I didn’t have black food coloring, and it wasn’t readily available at any of our local rural stores, but it would be a good option if you can find it. 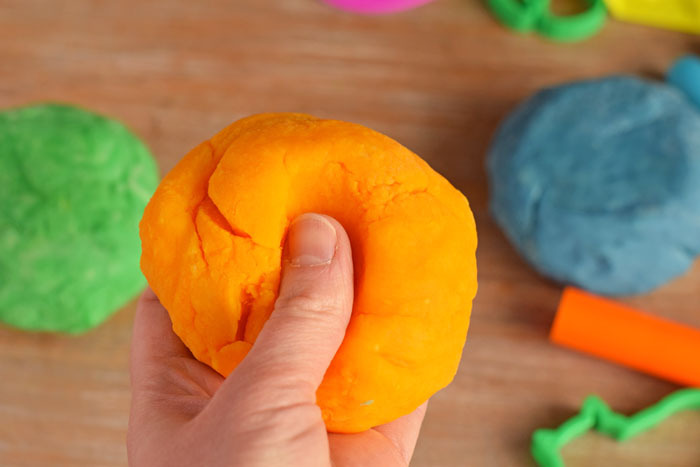 This is the same play dough recipe that I use in this DIY Best Small Batch Homemade Play Dough recipe from a few months ago. 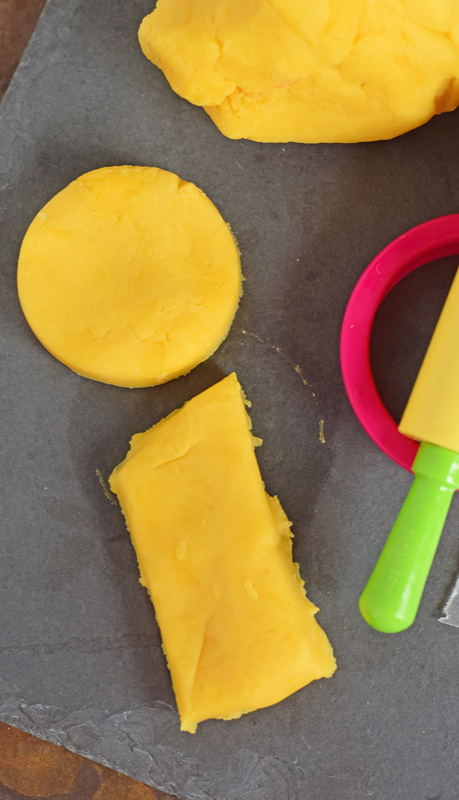 It is my go-to recipe and lasts for months! Flesh: 1 small packet of hot cocoa mix (without marshmallows). 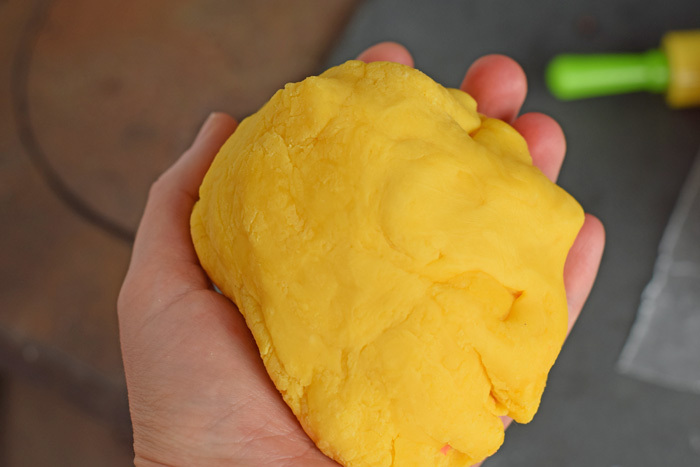 This will also make the play dough smell good!